They met a few times over the past several weeks. When the mics were out and the cameras were on, Hendrix Lapierre never hid his interest in wearing a Chicoutimi Saguenéens jersey. Well, that wish became reality on Saturday morning when the Sags announced him as the first overall pick of the 2018 QMJHL Draft. “I barely slept at all last night. I was nervous and I was dreaming up all types of scenarios. This morning, I was calmer… until I got to the arena! Once I was sitting in the stands, that excitement immediately came back. Then to hear my name called first was really special. It’s a source of pride and a tremendous relief all at once. 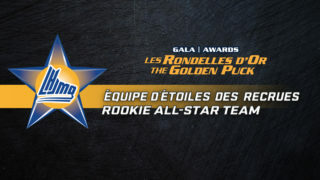 I was sitting far from the stage, but the walk there felt very short,” smiled the Gatineau Intrepides forward who enjoyed an explosive season with 57 points, including 40 assists in 35 games. 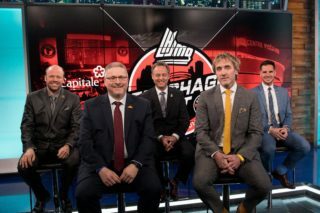 In Chicoutimi, Lapierre will have the chance to play with his family in the crowd every night, given they either live right in town or in the nearby town of Jonquiere. 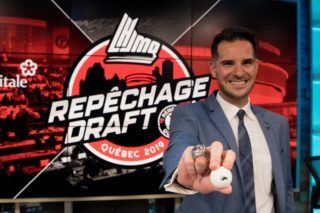 The Sagueneens had no less than three picks in the opening round of this year’s draft. 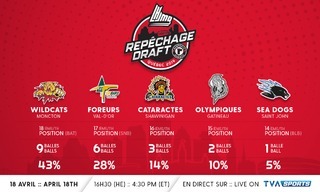 The last of their three picks was dealt to the Val-d’Or Foreurs just moments after they selected Theo Rochette. Fresh from arriving from Switzerland and only days from even becoming draft eligible, Rochette was ignored by five other teams, allowing the Sags to nab him at No. 7 overall. “Just like everyone else, I read what was being written online over the past few days. A few reporters said that his arrival might change the plans some teams had and how he was quite possibly a top-ranked prospect. Theo is an excellent player who could’ve been picked first and that’s ok with me. It wouldn’t have bothered me at all. Same thing for Patrick Guay, William Villeneuve and the others. 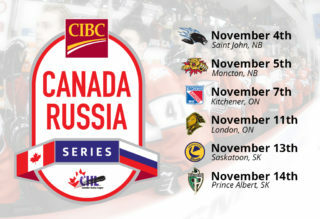 They are all talented players,” explained Lapierre. Rochette and Lapierre played together at a variety of AAA tournaments, but mostly faced one another. The two boys were often the headliners of big matchups where they were the top players on their respective teams. This was, of course, all before the Rochette family left for Europe. Lapierre becomes the second product of the Intrepides in the past three years to go No. 1 overall. 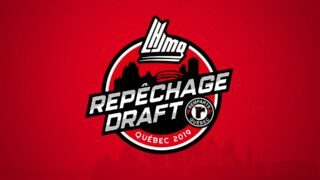 In 2016, the Halifax Mooseheads’ top pick was Benoit-Olivier Groulx, the son of former Gatineau head coach and current coach of the AHL’s Syracuse Crunch, Benoit Groulx.